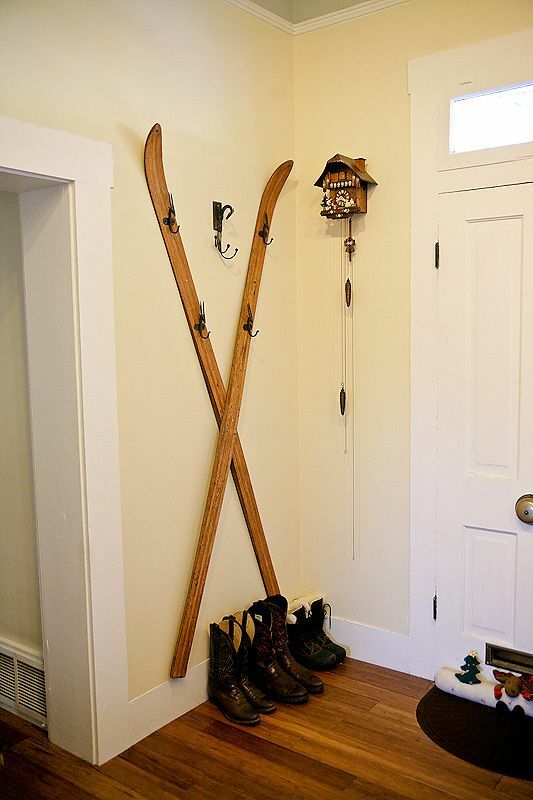 Got some vintage or modern skis you don’t need? 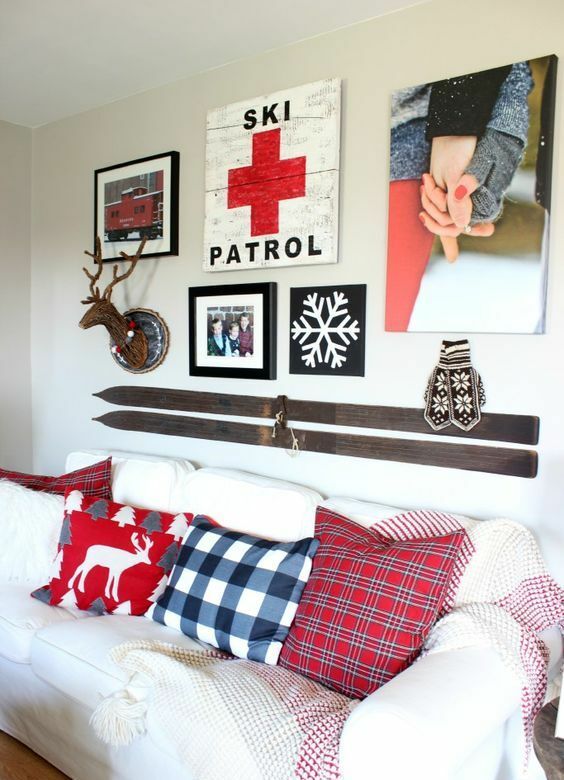 Incorporate them into your home decor! 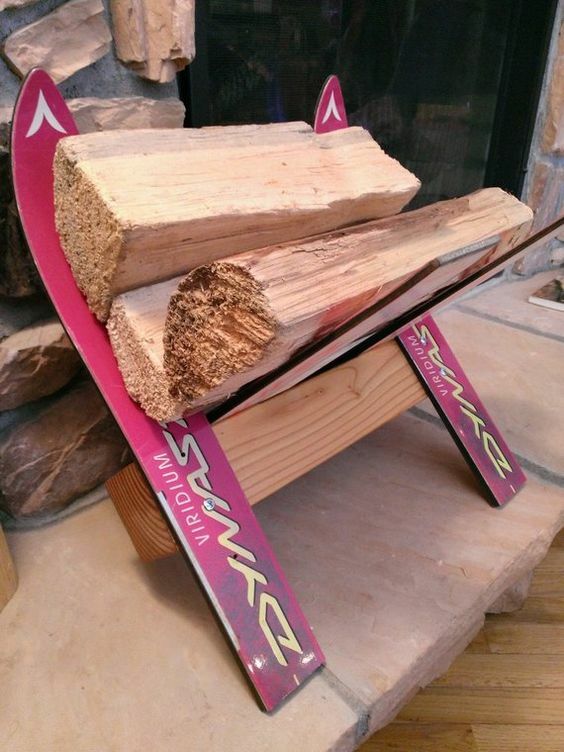 Here are some ideas to reuse or upcycle old skis to give your home a wintry feel at once. 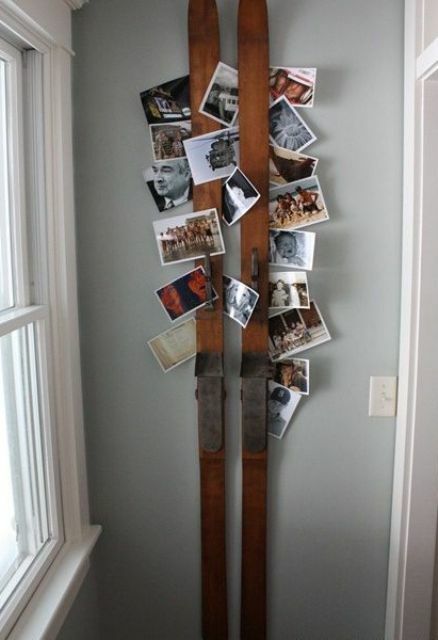 Upcycle old skis into cool furniture pieces for your vintage or farmhouse home or a chalet – they will be totally in place. 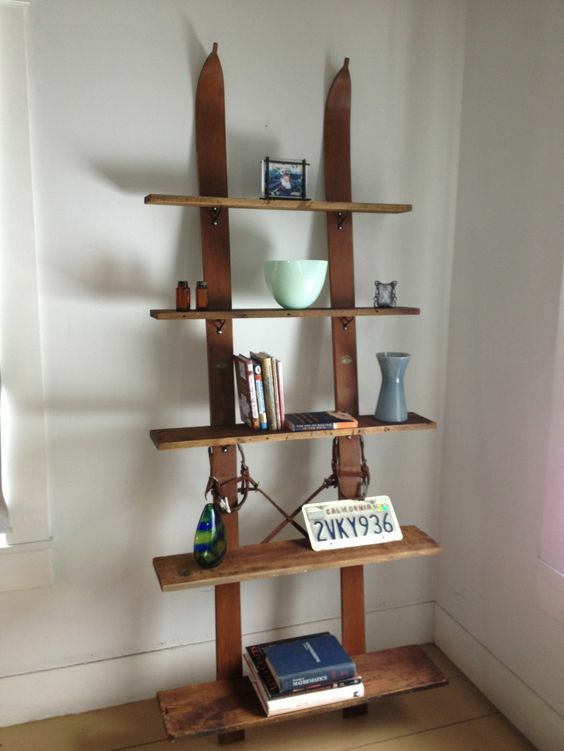 Yu may create a coat rack – a wall-mounted or a usual one, a bench for your porch or entryway, a shelving unit, a lamp, a firewood stand and much more. 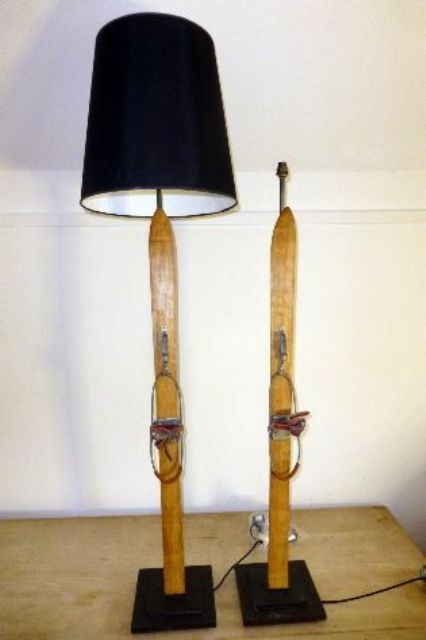 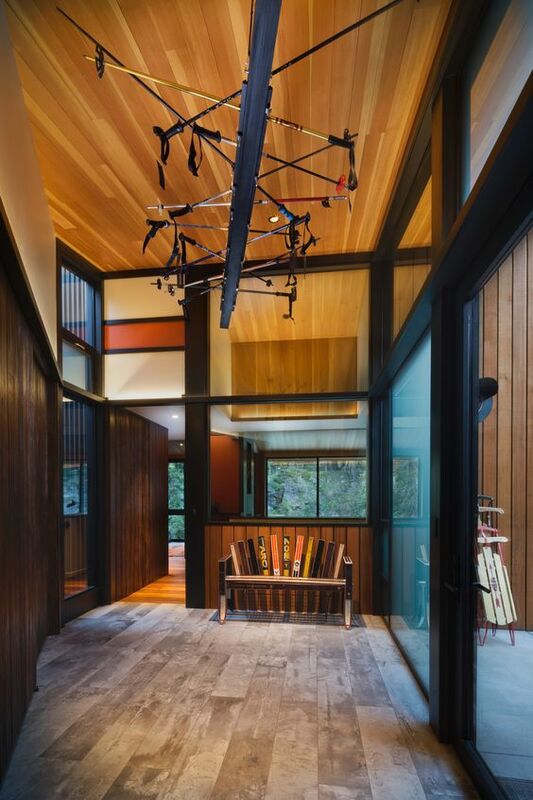 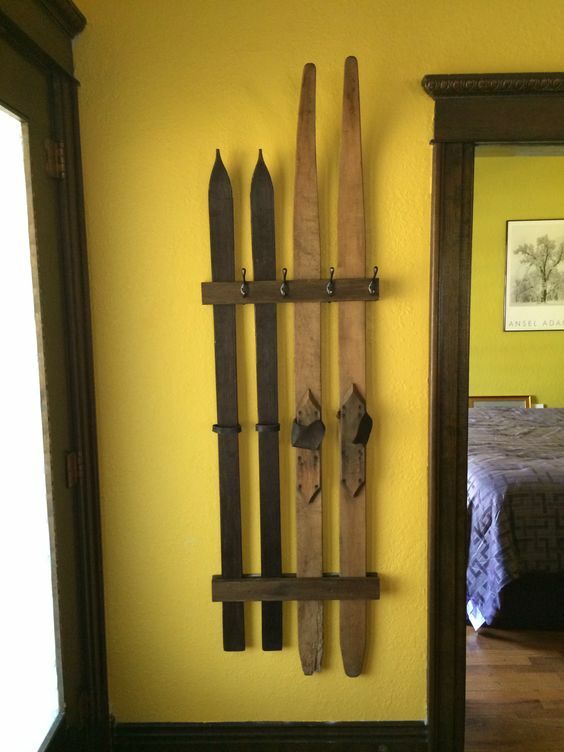 Think over furniture you need and figure out how to incorporate old skis into the project. 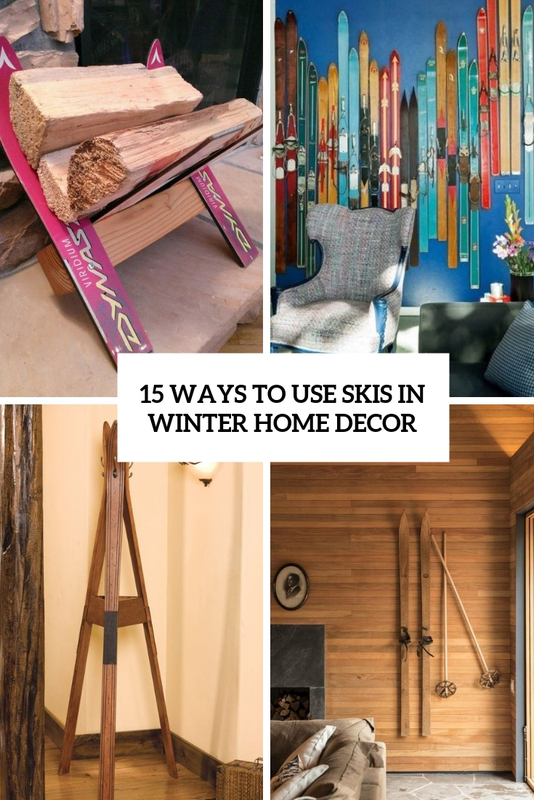 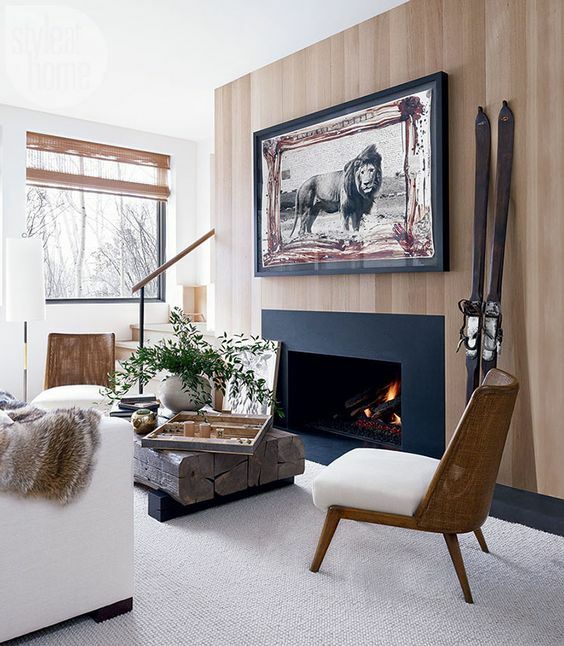 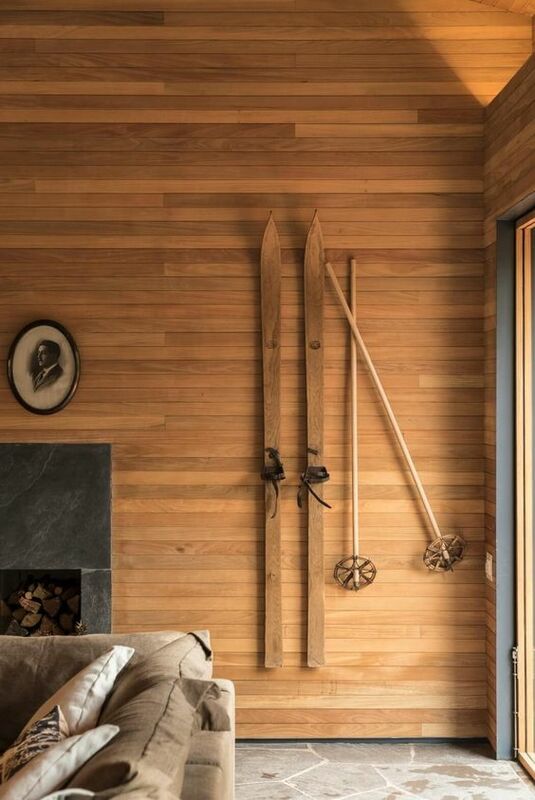 You may also use skis just for decor – they will easily give your space a wintry and ski chalet feel. 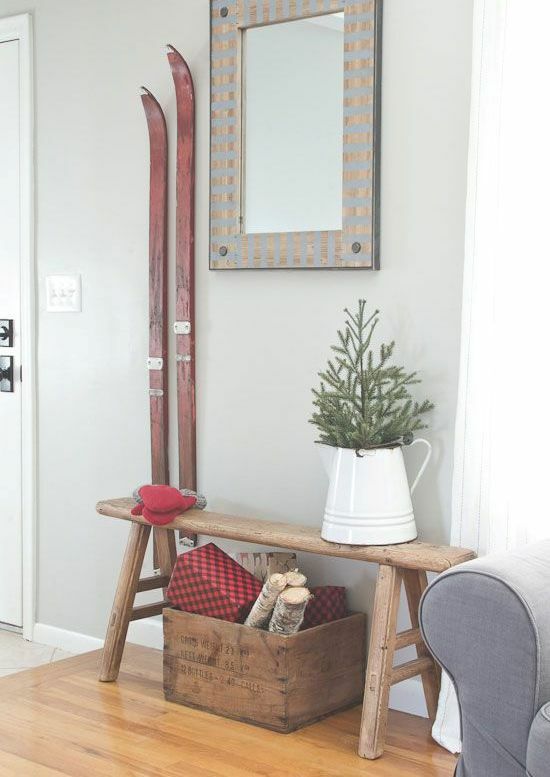 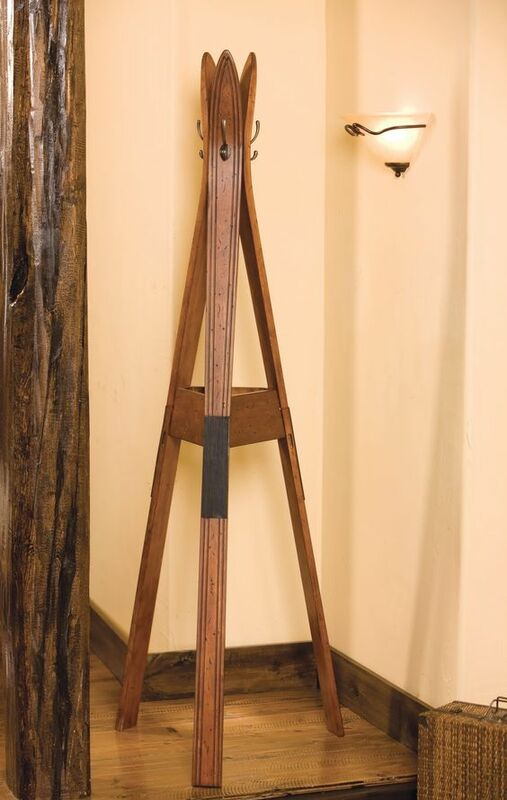 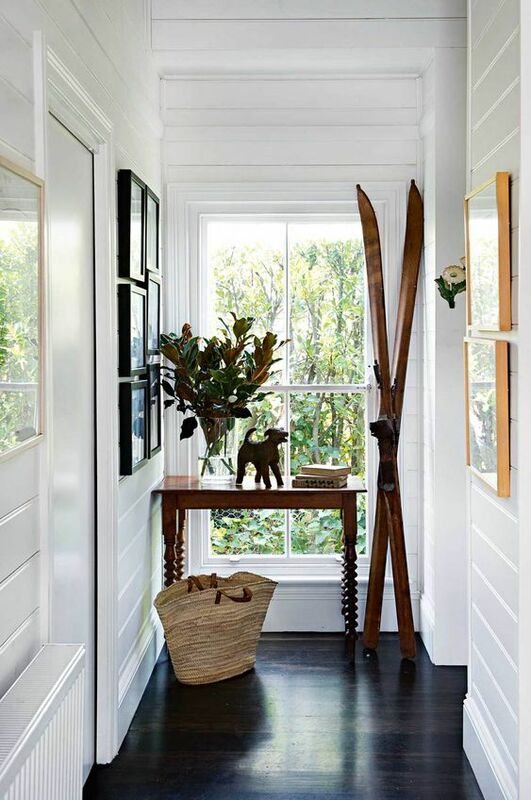 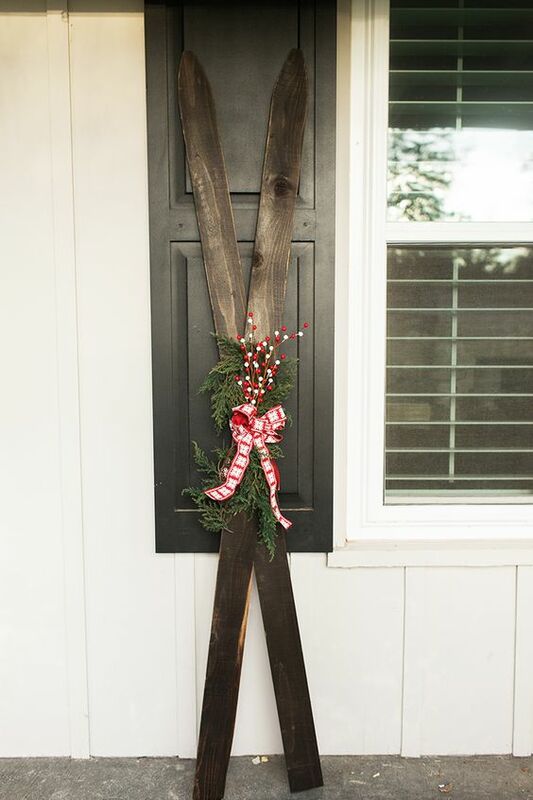 place your skis in the entryway, in the porch, or attach them over your bed or sofa as part of decor. 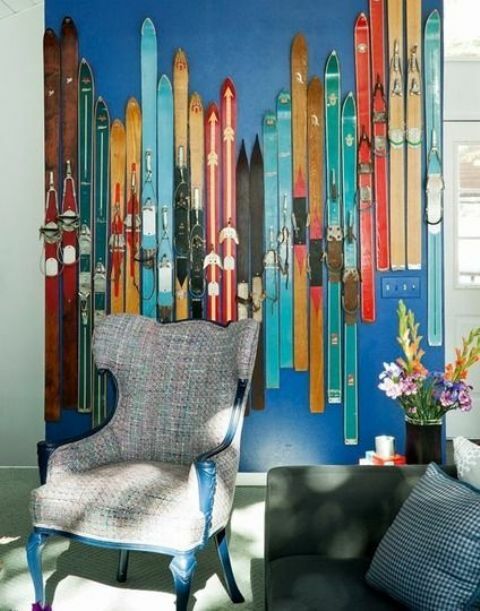 You may also take colorful skis or paint them yourself, get inspired!